Over the last 4 months Glasgow has continued to roll out the ‘Smart Solutions’ in the project district and we are excited with the progress, new ideas, learning and experience we are gaining as a city. The modelling works carried out by our project partners at the Energy Services Research Unit at the University of Strathclyde has enabled partners at the Wheatley Group to appoint a contractor to install a domestic electrical energy storage solution at the Drygate flats. We are continuing to engage with other smart cities and we are looking forward to the upcoming ‘Clean Air Day’ event on the 21st June. But most importantly the sun has been shining – long may it continue! 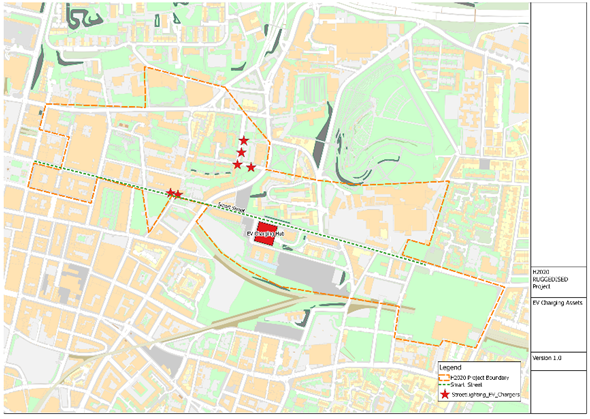 The modelling works carried out by the University of Strathclyde that has enabled the Wheatley Group to appoint a contractor to install a domestic electrical energy storage solution at the Drygate flats. Citizen engagement will continue to be one of our biggest challenges. Engaging with citizens in a meaningful way to maintain their interest and enthusiasm is something we will continue to work towards. Following on from detailed modelling produced by project partners at the University of Strathclyde, heat and power demand data was simulated for the Drygate flats. This data was used to assist in sizing of the communal battery. 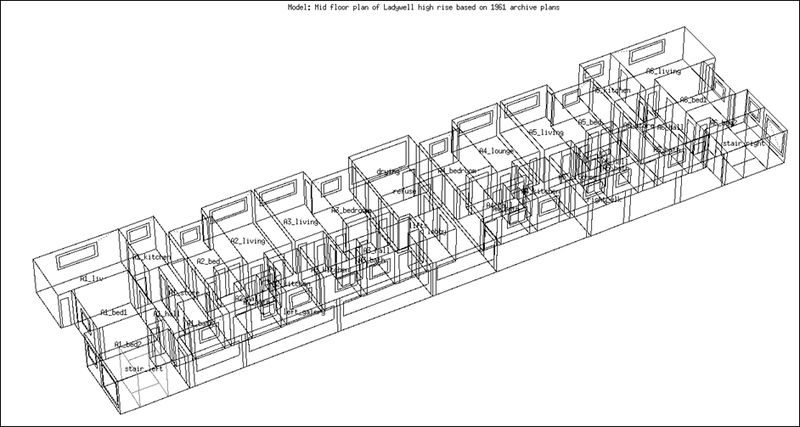 An image from the ESP-r model of one of the floors of the Drygate can be seen below: Heriot Watt University in Edinburgh have been subcontracted to manage this element of the project and have recently appointed Denchi as the suppliers of the domestic battery solution at the Drygate flats. An initial meeting has taken place to establish the timelines for this element of the project with the battery expected to be installed over the coming months. Smart Cities – More for Less Conference: Glasgow City Council recently presented on RUGGEDISED at the Smart Cities More for Less Conference in London. The conference was organised by the Environmental Industries Commission (EIC) and the Association of Directors of Environment (ADEPT) and was attended by industry experts from across the public and private sector. RUGGEDISED was later featured in the Infrastructure Intelligence online blog. 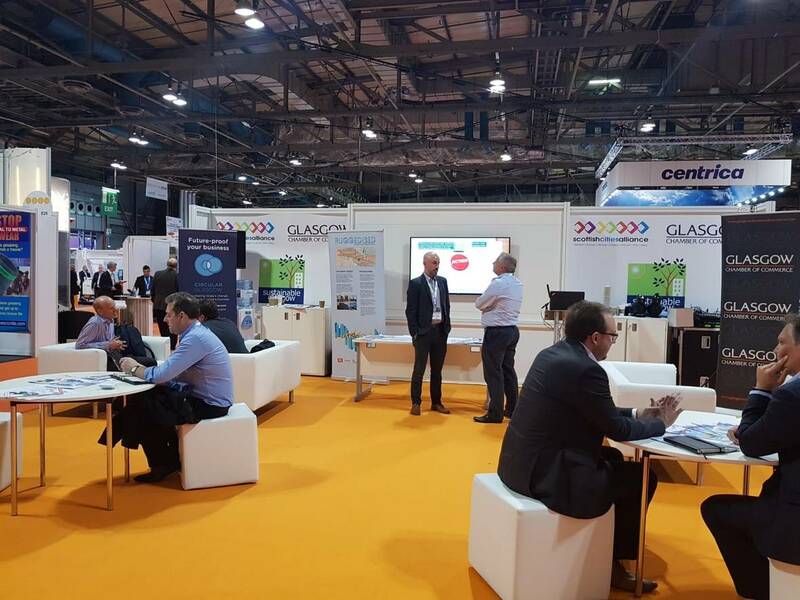 All Energy 2018 : In May Glasgow hosted the UK’s largest renewable and low carbon energy exhibition and conference. The All Energy Conference 2018 returned to the city for its 4th year and was attended by over 7,000 people. The 2 day conference was attended by industry experts from across the globe and was used by Glasgow City Council’s RUGGEDISED and City Energy team promote the project to academics and industry experts. Manchester Smart City – Triangulum: Our project partner Siemens recently coordinated a site visit to learn about Manchester’s Smart City vision. The visit was set up to allow Glasgow and Manchester to discuss the challenges and achievements of past and present smart city projects. The meeting also included a site visit to the university campus to see the new battery deployed through the Triangulum project which is similar to the ambitions of the RUGGEDISED project in Glasgow. The meeting was a great success and we will continue to learn from successful Lighthouse projects. Clean Air Day 2018: On the 21st June the RUGGEDISED team from Glasgow City Council will be participating in Clean Air Day 2018. The national event allows local authorities and environmental agencies across the UK to help individuals to think about their impact on the environment and low carbon modes of transport. The event is free to attend and will include cycle training sessions, bike repairs, electric vehicle displays and car clubs. Come and visit us on George Square between 10am – 2pm.